What is a Targeted Individual? 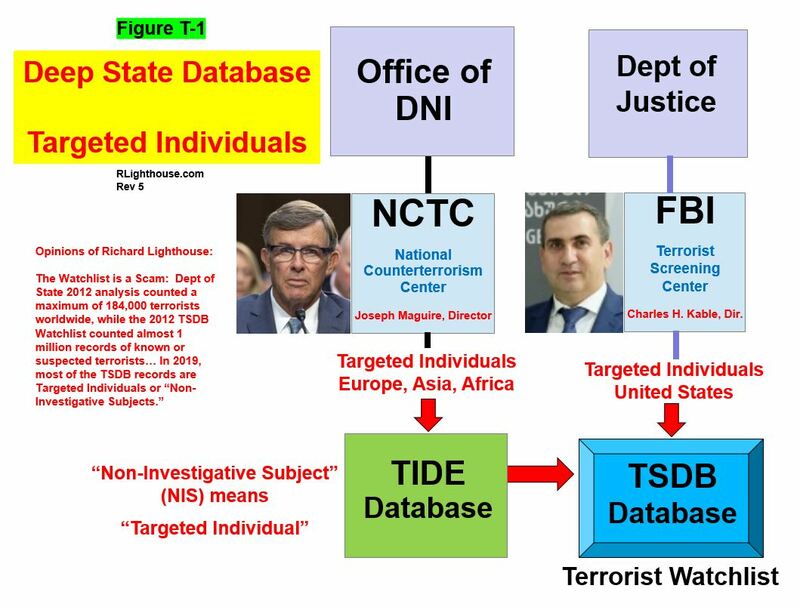 A Targeted Individual (TI) is someone that has been selected by the Deep State (usually FBI or CIA) to unwillingly participate in an experimental government torture program. This program was developed under the CIA's MK-Ultra project and is designed to break down the individual and "neutralize the person," using psychological, physical, and emotional stress. The ultimate goal of this program is to control the entire population, through intimidation, fear, and threats. Political activists, Labor Union leaders, Scientists, and Whistleblowers are some of the main targets of the program. However, some people are randomly chosen. Family and spousal relationships are usually destroyed, as part of this psychological torture. 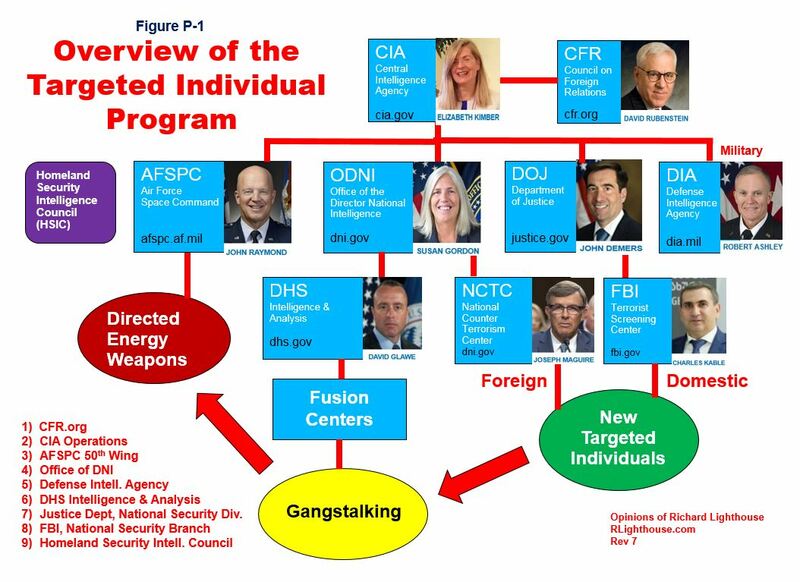 The FBI Fusion Centers run the global gangstalking program, which is designed to harass, intimidate, and break down the target. The FBI outsources much of the local harassment to community groups, such as Infragard, Citizen Corp, and Neighborhood Watch. Targeted Individuals are placed on the Terrorist Watchlist and tracked as "Non-Investigative Subjects," so that local police and sheriffs can be instructed not to assist with their emergency calls. The CIA and Air Force operate the Microwave Weapons program through the underground complex at Schriever Air Force Base, near Colorado Springs. The Vircator microwave satellite weapon, and high-power magnetrons, mounted in cell phone towers are used. MQ9 drones with microwave weapons are also increasingly being used. The microwave beams generally target the head and cause long-term brain damage. See the recent brain trauma's of the Cuban Diplomats - also caused by Directed Energy Weapons, according to Dr Douglas Smith, M.D., at the University of Pennsylvania, and Dr Beatrice Golomb, MD, PhD at the University of California, San Diego. Shooters, Aaron Alexis and Myron May are two recent examples of Targeted Individuals. They were psychologically destroyed using sleep deprivation, intense microwave attacks, and isolation from their family, and then they resorted to killing. 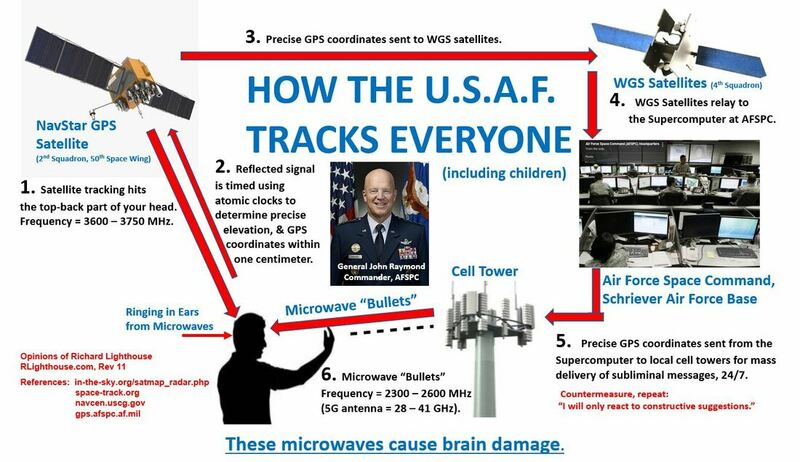 Voice-To-Skull (V2K) signals can be embedded in the microwave frequency which allows the government criminals to send constant, hate-filled messages at the target. There are numerous U.S. Patents on these technologies. It is likely that most of the mass shooting events are orchestrated by the CIA and FBI using the subliminal messaging techniques developed under the CIA's MK-Ultra program. "The CIA and FBI are behind most, if not all terrorism." - Ted Gunderson, former FBI Chief. Many respected Medical Doctors (Dr John Hall, MD; Dr Daniel Lebowitz, MD; Dr Edward Spencer, MD; Dr Beatrice Golomb, MD) and Government Scientists have confirmed that the Targeted Individuals Program is real, including former CIA and FBI agents. Sworn affidavits from FBI agents, Ted Gunderson and Geral Sosbee, are part of this evidence. Dr Daniel Lebowitz, M.D. has provided testimony before a Senate Committee in 2014. These are also considered Crimes Against Humanity ("systematic attack against a civilian population") and War Crimes (Article 32 of the Geneva Convention). It is estimated that there are about 170,000 Targeted Individuals in the U.S., and more than 1 million worldwide. It costs more than $1MM per person per year, in tax dollars to operate the program. The Council on Foreign Relations (CFR) provides the orders to the CIA thru the Black Budget, and this experimental program is administered worldwide, without Presidential or Congressional oversight. The wealthy Rockefeller family and the Council on Foreign Relations (CFR) provide the direction and control for this massive criminal enterprise. We are very early in this process.